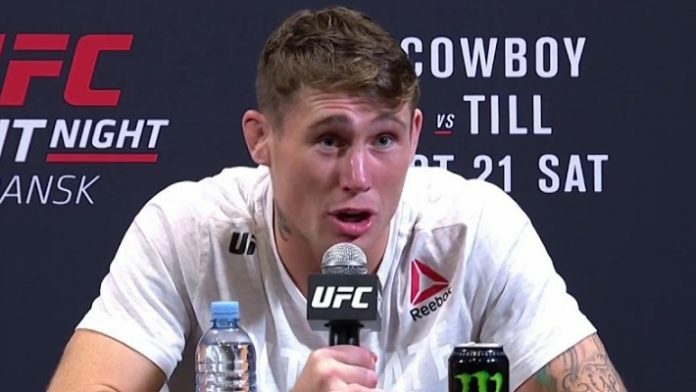 For Darren Till, confidence has helped but it has also hurt him. At least that is his take on how his last fight went against Tyron Woodley at UFC 228. While his issues with weight may have been a distraction, Till believes where his focus was is what cost him the title and he will not make that mistake against Jorge Masvidal. The thing about losses when it comes to martial arts is that they are to be perceived as lessons and Till is doing just that. Moving forward, should he pick up the win against Masvidal on Saturday he believes it will put him back on track for another shot at the welterweight title. However, if more work needs to be done before a title conversation comes up, he would not mind a fight with Ben Askren. Askren will be in attendance Saturday as he has stated he would like to face the winner of Till and Masvidal’s fight, which Till seems content with. If fans have been following, Askren has been taking shots at Till on social media leading up to the event in hopes of planting the seed for a future matchup if he wins. How do you think Till will do Saturday night?